The formula to determine the contribution margin of a business. See an example in Excel here. A company has revenue of $50 million, cost of good soldAccountingOur Accounting guides and resources are designed as self-study guides to learn accounting and finance at your own pace. Browse hundreds of articles on important topics such as the income statement, balance sheet, cash flow statement, depreciation methods, how to link the 3 statements, debits & credits, journal entries is $20 million, marketing is $5 million, product delivery fees are $5 million and fixed costsFixed and Variable CostsFixed and variable costs are important in management accounting and financial analysis. Fixed costs do not change with increases/decreases in units of production volume, while variable costs are solely dependent on the volume of units of production. This guide teaches an analyst the fixed vs variable cost methods are $10 million. The fixed costs of $10 million are not included in the formula, however, it is important to make sure the CM dollars are greater than the fixed costs, otherwise, the company is not profitable. 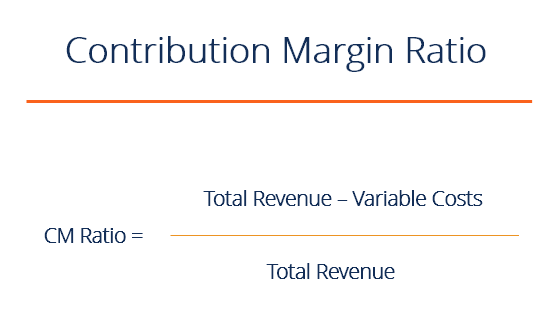 Contribution margin is not necessarily a good indication of economic benefit. Companies may have significant fixed costs that need to be factored in. It can be important to perform a breakeven analysis to determine how many units need to be sold, and at what price, in order for a company to break even. To learn more, check out our Financial Analysis course. Building on the above example, suppose that company sold 1 million units. That means the CM per unit is $20. Fixed costs are $10 million so the company has to sell 500,000 units to break even. ($10 million / $20 per unit = 500,000). Return on Ad SpendROAS (Return on Ad Spend)ROAS (Return on Ad Spend) is an important eCommerce metric. ROAS measures revenue generated per dollar of marketing spent. It is a similar and alternative profitability metric to ROI, or "Return on Investment". ROAS is commonly used in eCommerce businesses to evaluate the effectiveness of a marketing campaign. To find out more about finance careers, try out our interactive Career Map.